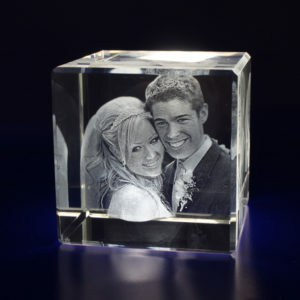 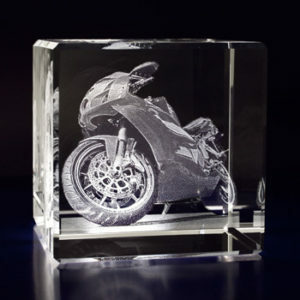 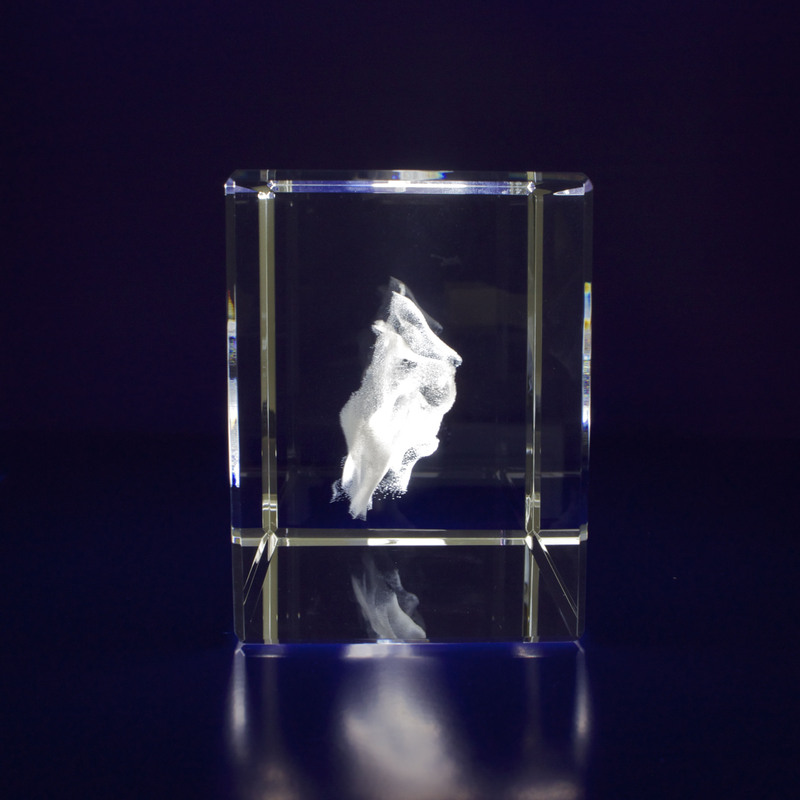 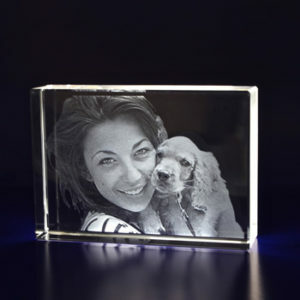 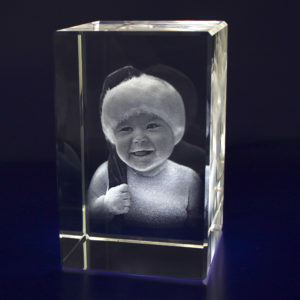 We laser etch your image within the purest form of K9 optical glass. 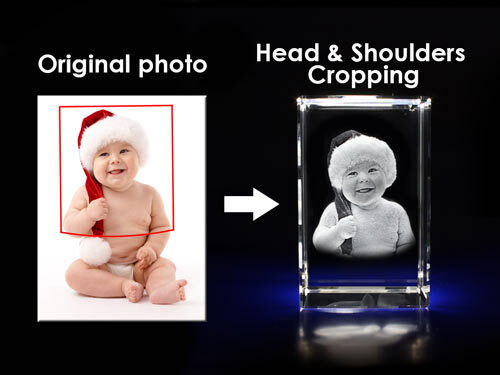 Please select the number of people or pets in your photo requiring 3D conversion. 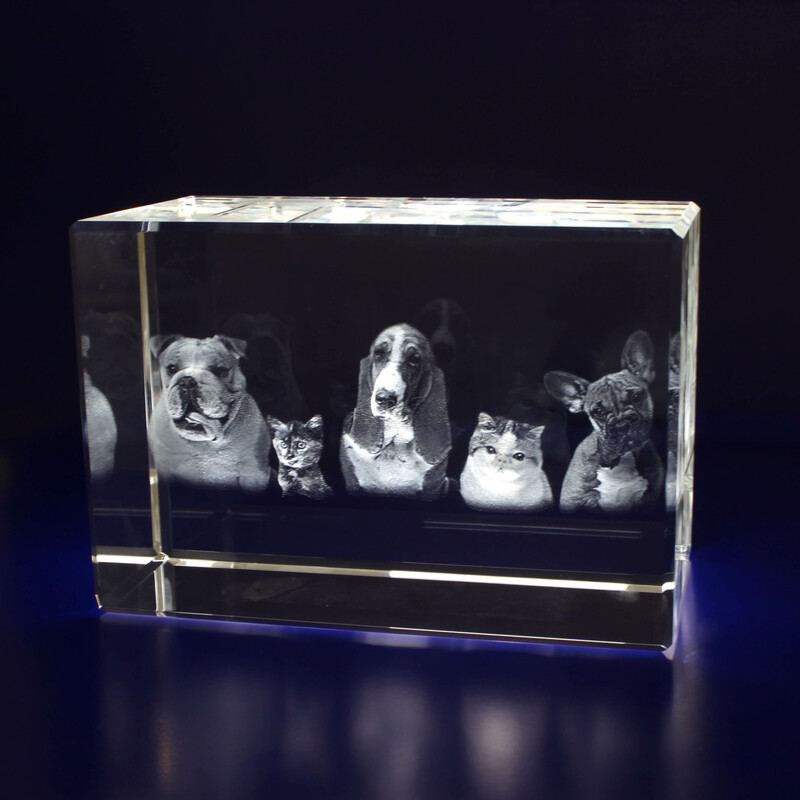 3D conversions are charged per person or pet. 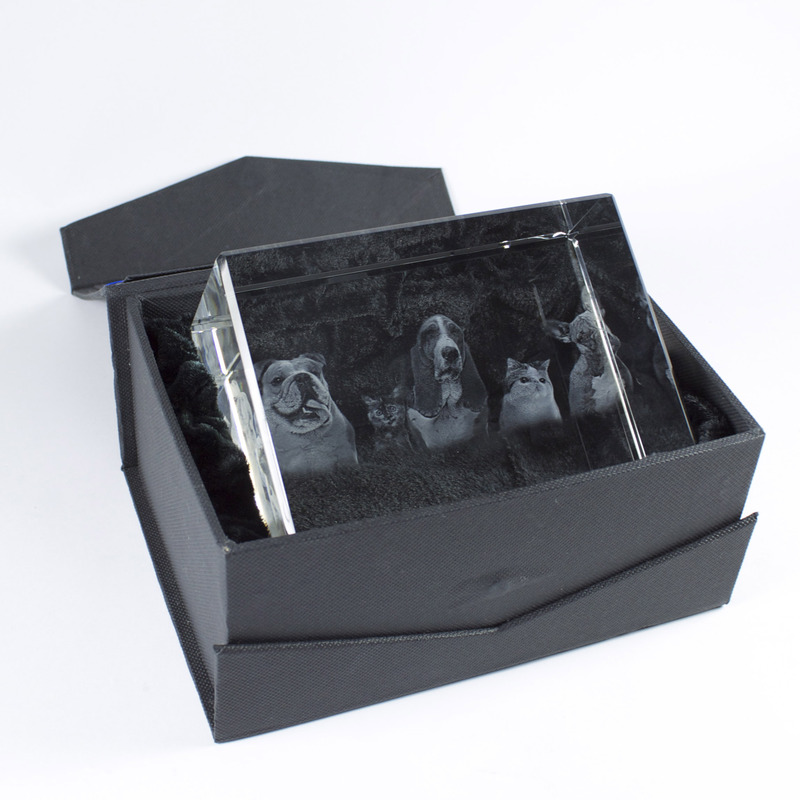 $19.95 per person or pet. 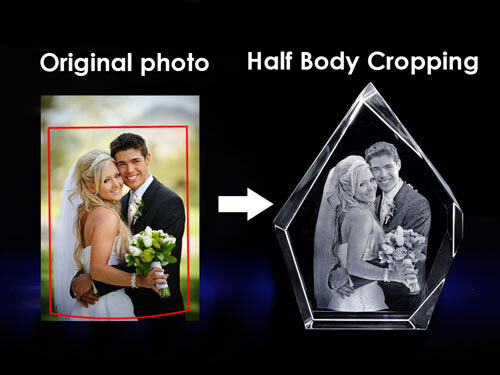 Please list any cropping instructions you require for your crystal. 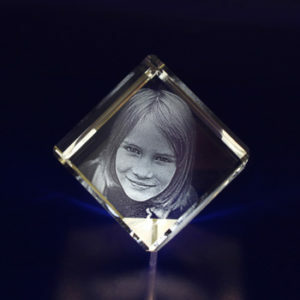 Please type the text you wish to appear in the crystal. 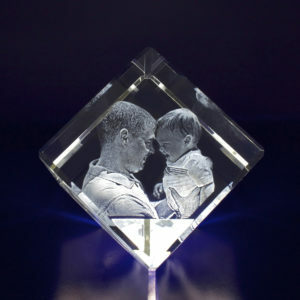 This is the font that will be used to etch into the crystal. 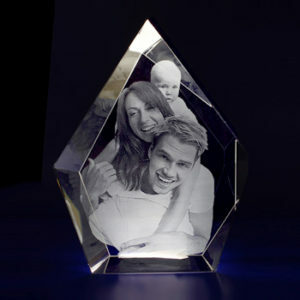 Choose which lightbase you would like to go with your crystal. 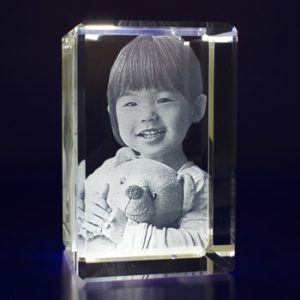 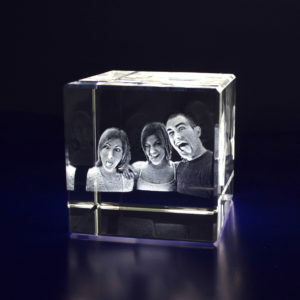 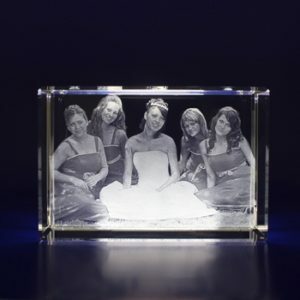 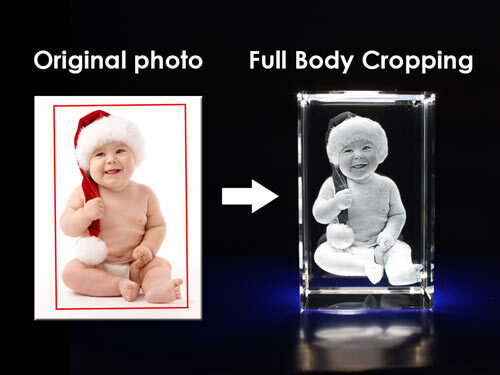 Our Crystal Rectangle 120 3D is perfect for a 3-Dimensional portrait with multiple people converted from your favourite 2-Dimensional photo. 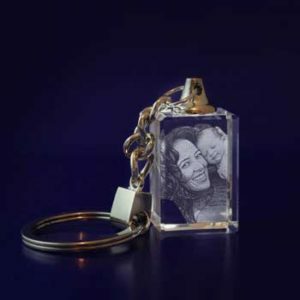  It is one of the larger pieces in our range and can be used both vertically or horizontally depending on your image and preference.